Product prices and availability are accurate as of 2019-04-21 08:23:20 UTC and are subject to change. Any price and availability information displayed on http://www.amazon.com/ at the time of purchase will apply to the purchase of this product. Author Bookstand is proud to offer What Is This Thing Called Love by Bookstand Publishing. Bookstand Publishing offers books by the best indie authors throughout North America and the world. Bookstand Publishing is dedicated to offering original content to a broad audience and promoting great authors, literacy, and freedom of expression. 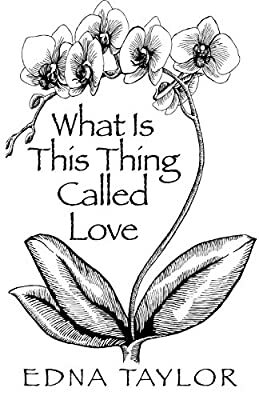 What Is This Thing Called Love has generated a lot of interest and excitement and we think it would be an excellent addition to your library. Drissy Counsel has had what she considers her fair share of bungling relationships which left her cold and less likely to enter the romantic arena ever again. She is distrustful and still clings to her younger sister, Evalan Murphy, who appears out of the blue into the midst of her blooming romance to become her sole responsibility. This and her past romantic experiences becomes Drissy's protective wall against love. That is, until her friend Celia Macintyre introduces her to yet another of her available male friends. Drissy thinks that Celia has left the best for last. She compares the young and irresistible Scotsman, Vaughn Playfair, to her previous suitors, one of whom she left at the steps of City Hall and the other whom she pretends to still have an ongoing relationship with; the latter, to deter Vaughn's pursuit. Vaughn is neither easily discouraged nor discarded. Once circumstances force her to consider him, Drissy must decide whether she would come out of her shell and accompany him on life's journey or not. When she discovers her sister's interest in Vaughn, she is prompted to weigh her compassion for Eva against her true feelings for him.